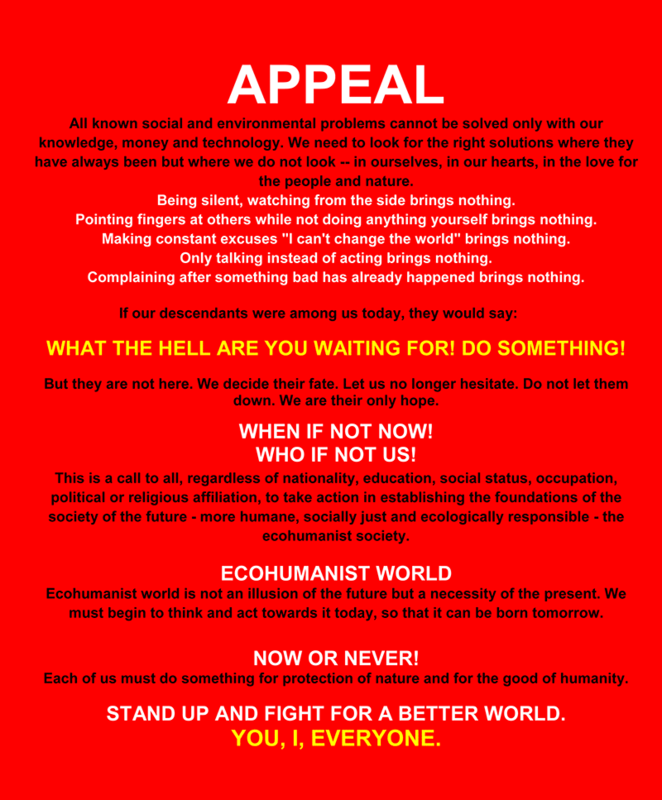 Ecohumanist society is a voluntary association of people in the planetary community with the desire to live in peace and freedom and with the aim to create a society of the future. 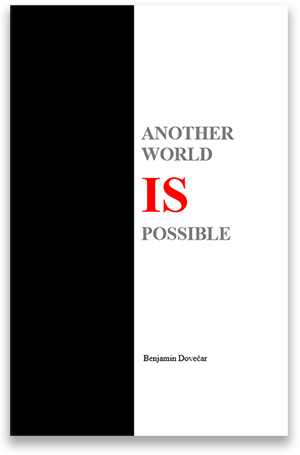 Its social system is based on permanent social reconstruction, equitable distribution of resources, social justice and equality, solidarity, humble needs, rational consumption, sensible development, high efficiency and unrestricted freedom of movement. Ecohumanist society offers a satisfying life for all humanity and ensure the prosperity and existence. In its functionality she is in spite of complexity simple and therefore acceptable to all, because it is based on personal trust and shared responsibility, it is legally-friendly and easy to manage.